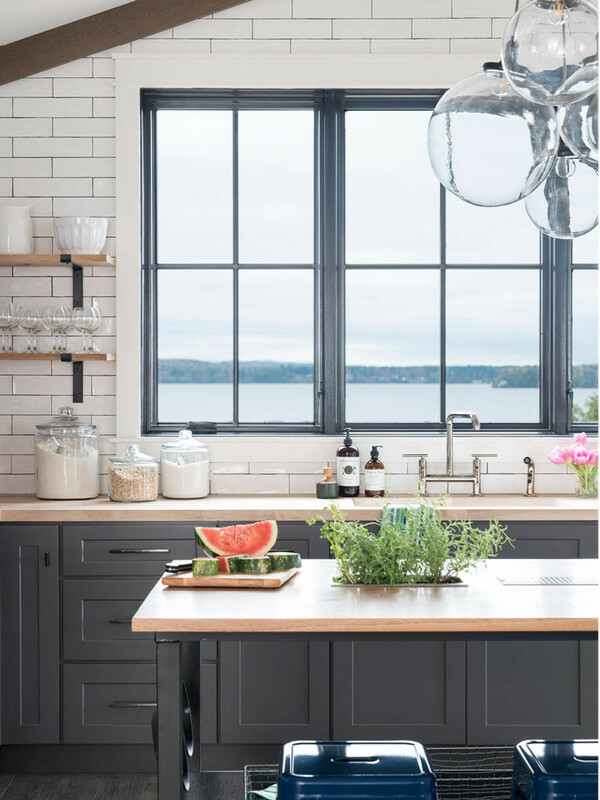 Tucked away on Lake Champlain in Vermont, the DIY Network Ultimate Retreat 2017 is a cozy wooded escape with breathtaking views. As a sponsor, we were thrilled to bring our organizing expertise to this amazing renovation. And more than a little sorry we're not eligible to win it! Just look at that view! It makes doing dishes a treat. As does our Full Circle Bubble Up Soap Dispenser & Brush combined with our Heirloom Dishwashing Liquid and Liquid Hand Soap, both by Murchison Hume. On the counter, our Anchor Hocking Glass Canisters are a charming and practical way to store flour, sugar and other staples. Organization changes everything! 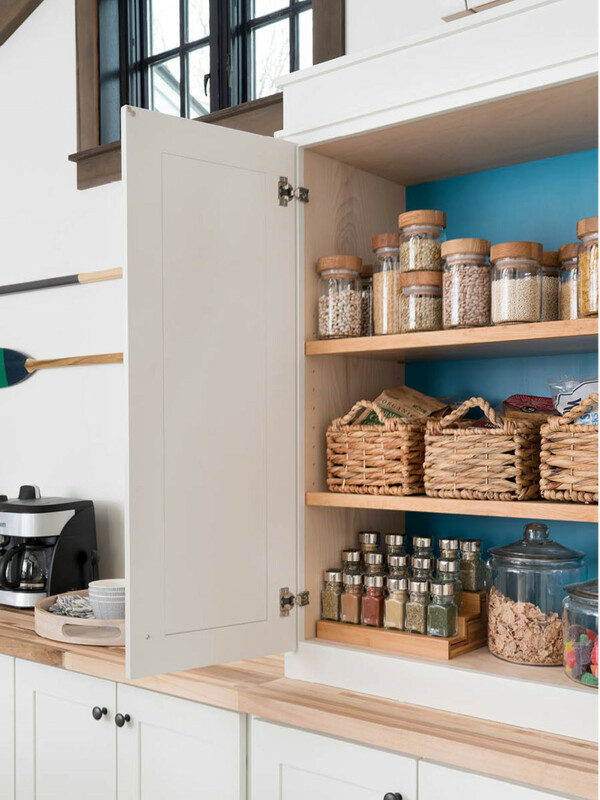 A cabinet in the living room was transformed into this small pantry. Dry goods like rice, beans and pastas are stored in Artisan Glass Canisters with Oak Lids. Small Hogla Bins with Handles organize spice packets and baking mixes. 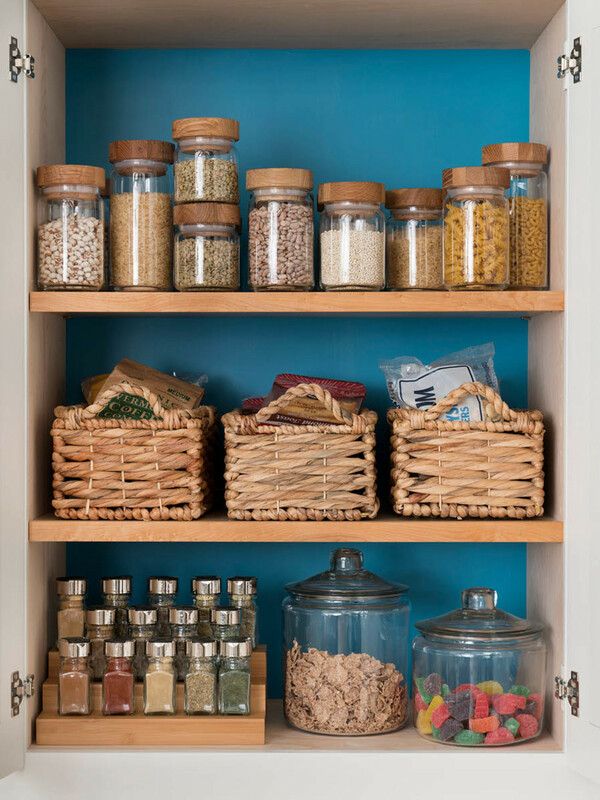 On the bottom shelf, our 3-Tier Bamboo Expanding Shelf with Glass Spice Bottles keeps a collection of spices visible in minimal space, while our Anchor Hocking Glass Canisters with Glass Lids contain cereal and snacks. One of the biggest transformations was the garage. This gorgeous space was a big addition to the original structure. And thanks to our elfa custom shelving, it's completely organized and ready for any project. 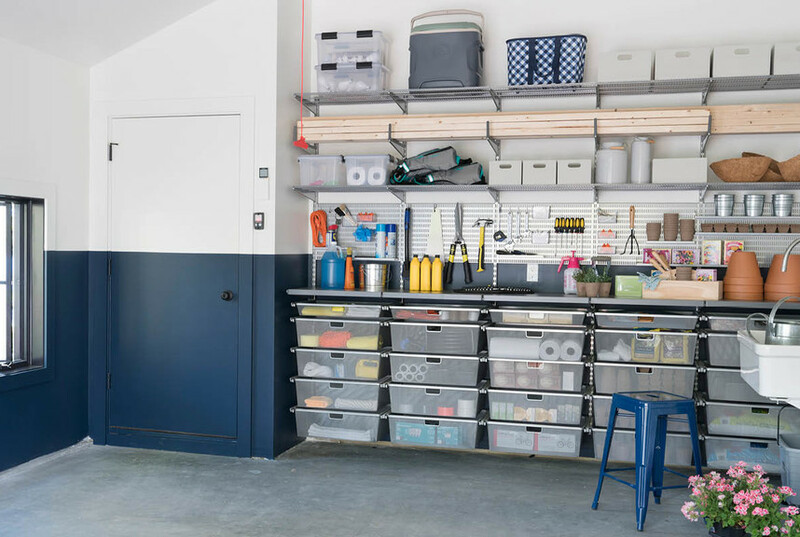 We installed elfa utility along the main wall, creating a ton of accessible storage space for tools and other garage essentials. 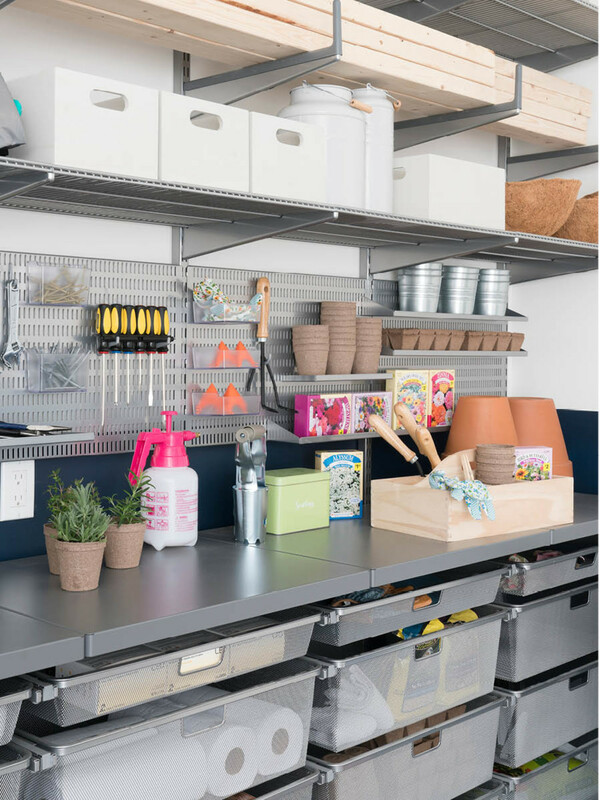 A bank of smooth-gliding Mesh Drawers holds everything from lightbulbs to paint rollers and is topped by our nearly indestructible elfa utility Work Surface - making it the perfect place for projects. Tools are kept handy and organized on the utility Boards. Ventilated Shelves hold Weathertight Totes, Wooden Storage Bins with Handles, coolers - even lumber! 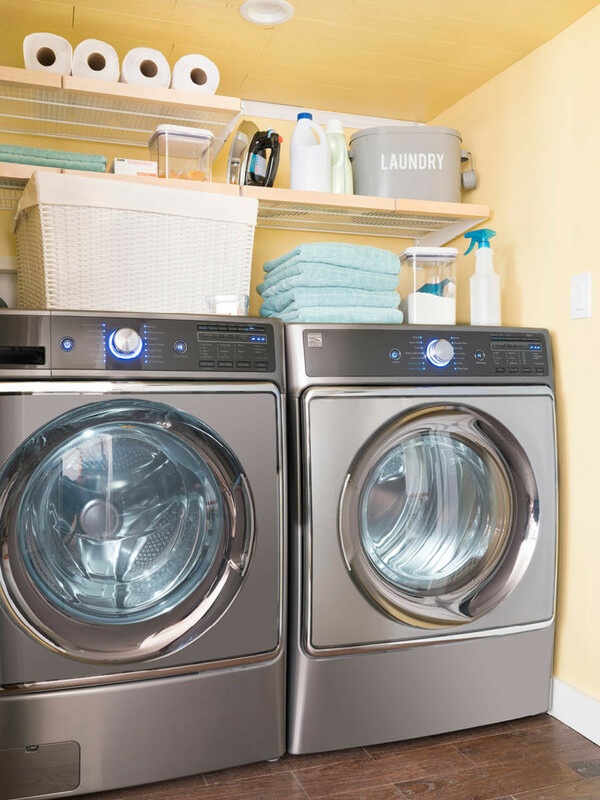 Off of the garage, you'll find a fully equipped laundry area. Again, our customized elfa shelving plays a role. The Birch and White elfa décor Shelves keep detergent, fabric softener and stain treatments in order. A white Montauk Woven Storage Bin makes for a convenient laundry basket. 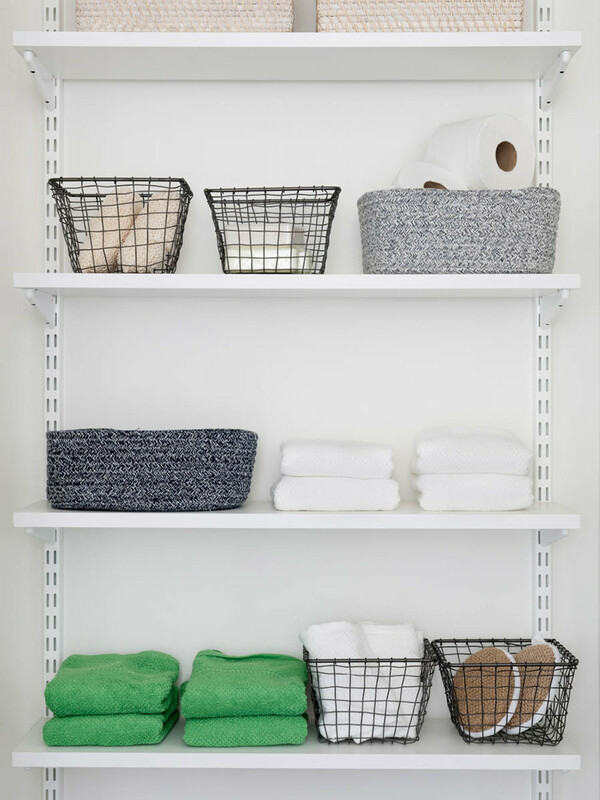 In the linen closet, towels, toilet paper and bath supplies stay neat and tidy thanks to a variety of storage basket and bins. We mixed our Rustic Marché Steel Wire Storage Baskets with the softer look of our navy Tahoe Storage Bins and Laguna Cotton Fabric Bins. Can you imagine a prettier spot to curl up with a good book? 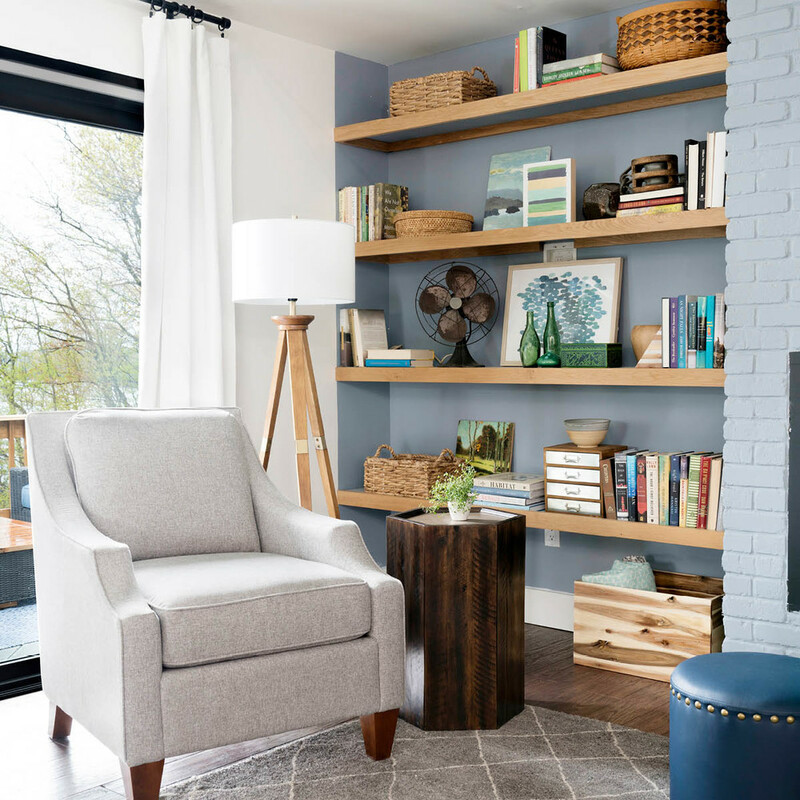 Our Hogla Storage Bins with Handles add rustic charm to the shelves in this cozy space. The beautiful Birch and White elfa guest room closet will have guests feeling pampered. Basic Lotus Wooden Hangers keep to the natural style found throughout the house. 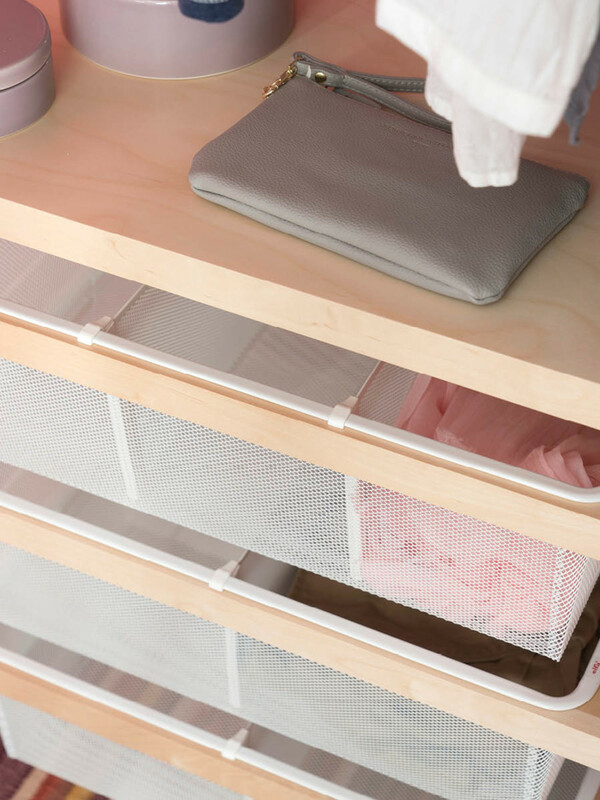 Hanging Mesh Drawers with Dividers organize socks and undies. 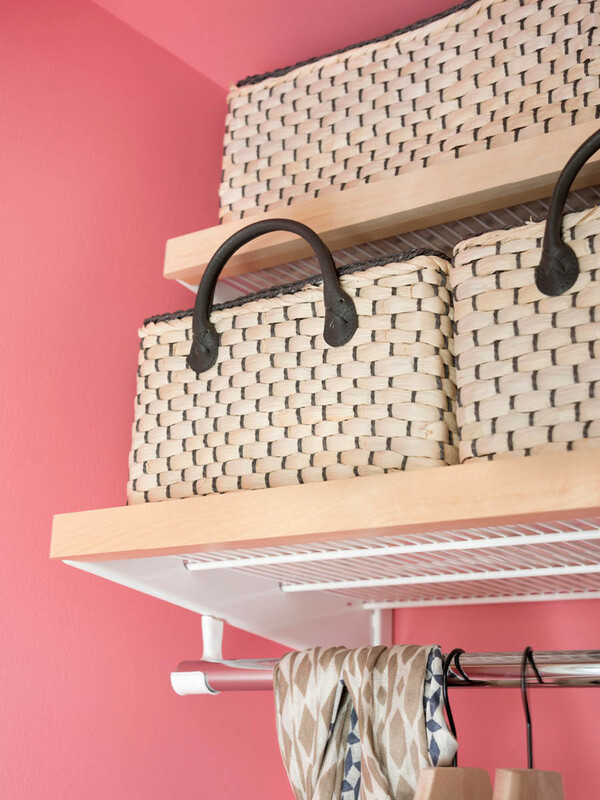 Loft Woven Storage Bins with Handles look great on the upper Ventilated Shelves trimmed with Birch Fascia, and are perfect for concealing extra sweaters and blankets. And of course, we wanted to give the lucky winners of this retreat an organized master closet. 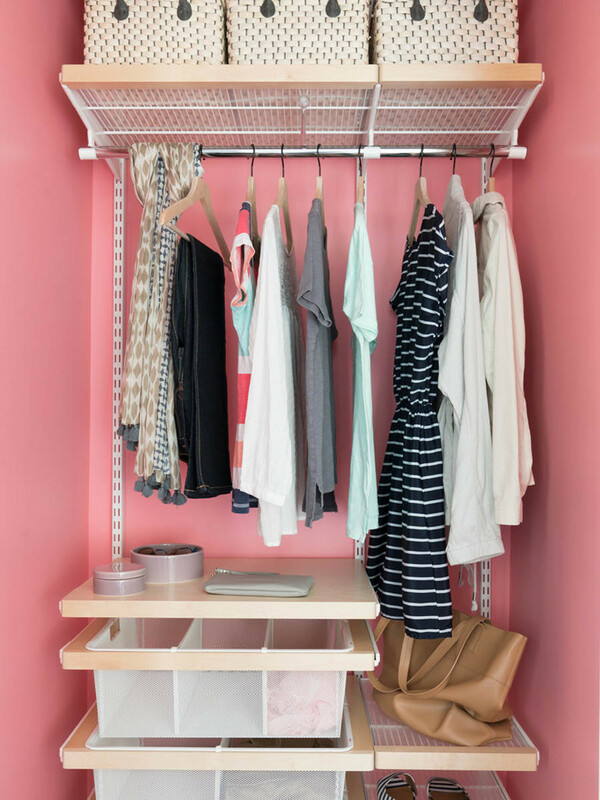 So we made up for what the master closet lacked in size by organizing every inch of space. 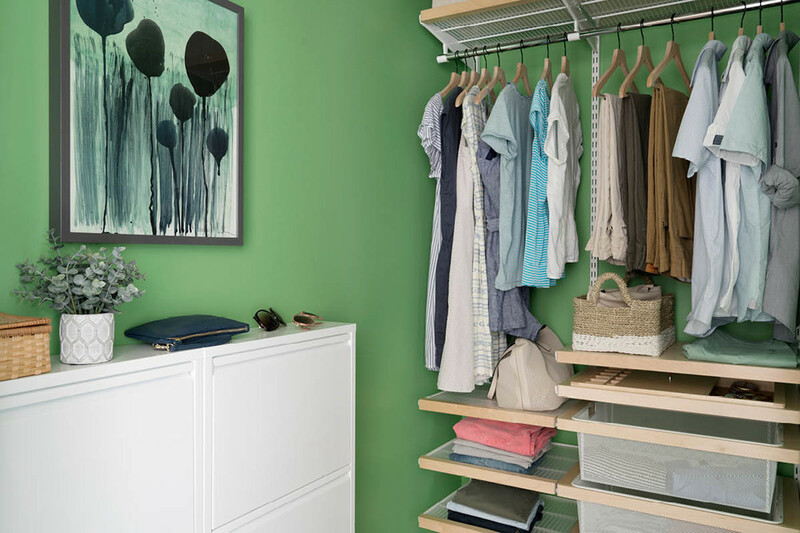 This Birch and White elfa Décor closet was customized to feature plenty of hanging space, drawers and shelves. 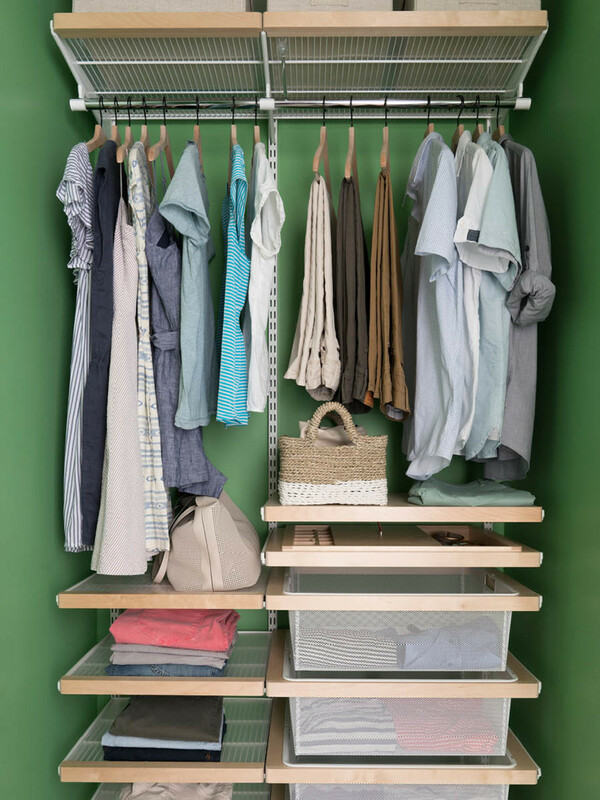 Our slim profile 3-Drawer Shoe Cabinet organizes up to nine pairs of shoes in just six inches of floor space! Plus, it adds an attractive surface for sunglasses, keys and a pretty plant. 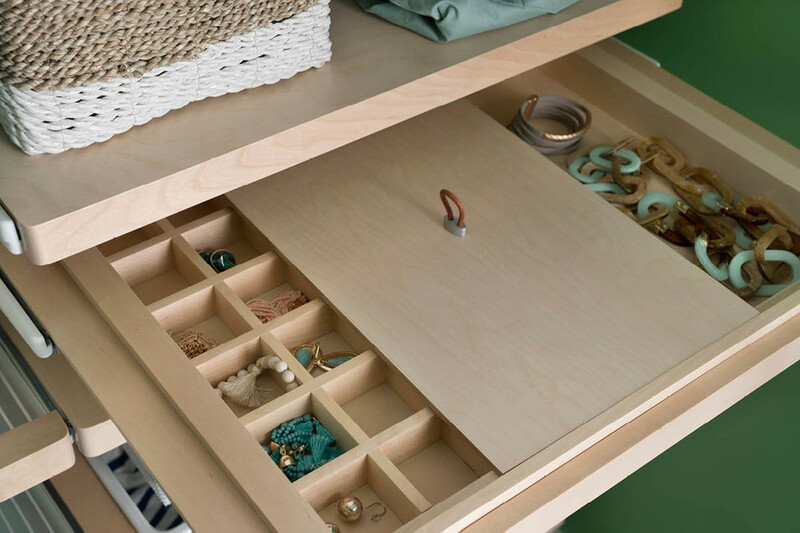 Finally, the Birch elfa décor Jewelry Drawer is a luxurious touch. Earrings, rings and necklaces are easy to see and select, making getting dressed a pleasure. For a closer look at all the renovations and to enter to win the retreat, be sure to visit diynetwork.com/ultimate-retreat.